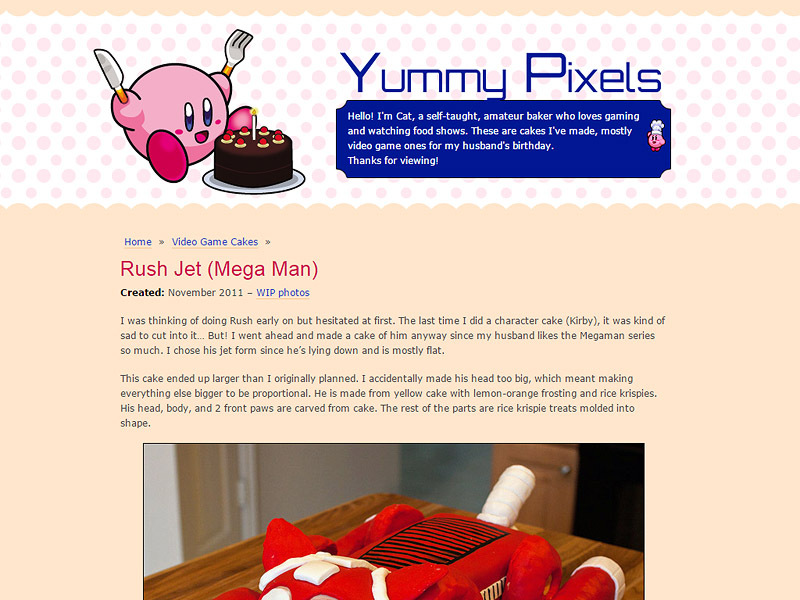 I saw this sprite of Kirby eating a strawberry shortcake from Kirby Squeak Squad, and I knew I wanted to use it. I vectored it, and then replaced the shortcake with the chocolate cake from Portal. 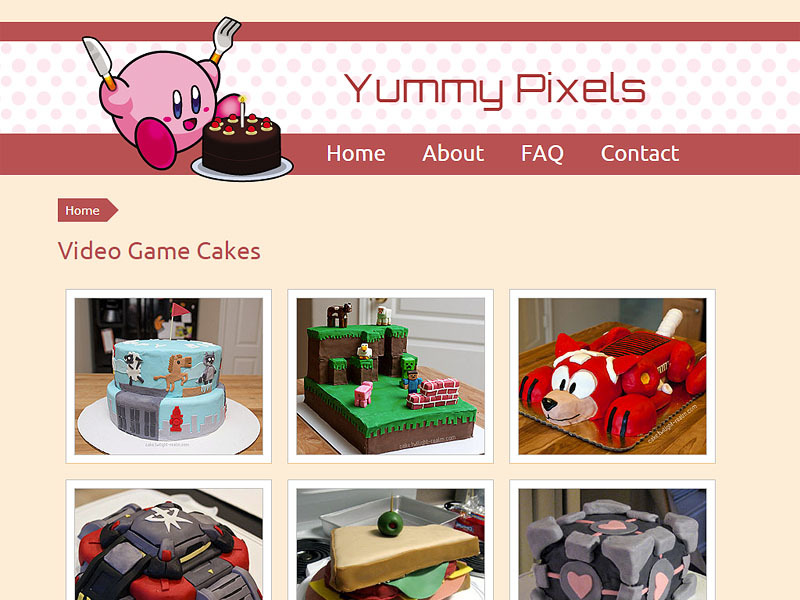 When I first made this, it just showed all the video game cakes I made, but I later added my other cakes and WIP photos. 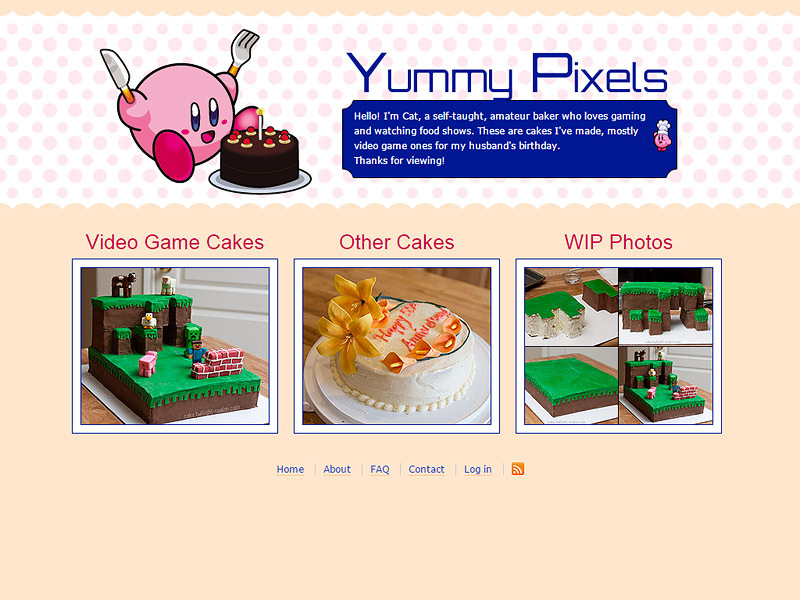 Years after, I also changed the layout a bit, so that it’d be easier to code into a mobile friendly layout.